Heaven knows I love this film. I’ve loved it since I first saw it as a child. I still marvel at the potent and yet adeptly natural interactions between the 2 primary actors, Deborah Kerr and Robert Mitchum. They are, in fact, just about the only major thespians in this film. Of course, watching the cool but intense, gentle but utterly virile Mitchum on-screen at a young age indelibly inked in my mind the archetype of strong but sensitive maleness. And while Deborah Kerr (pronounced Car) is not one of my favorite actresses, she played her role with such calm nobility, and with a subtly knowing smile, that she wondrously elevates this character to a lofty height. Her performance was so commanding against the unflappable Mitchum that these two were paired up again in four more movies, including The Sundowners. They were rescued from this island and they went to Australia! This island is “Tuasiva” Island, in the South Pacific, in 1944. Corporal Allison has managed to survive his torpedoed ship and, after floating on a raft days and nights, he beaches on this island. The only other person alive is Sister Angela. There’s plenty of food for them, and plenty of reasons for them to not like each other. Initially they don’t mesh gears, although they do astutely size each other up. The Marine is polite in his wary view of the devout nun. 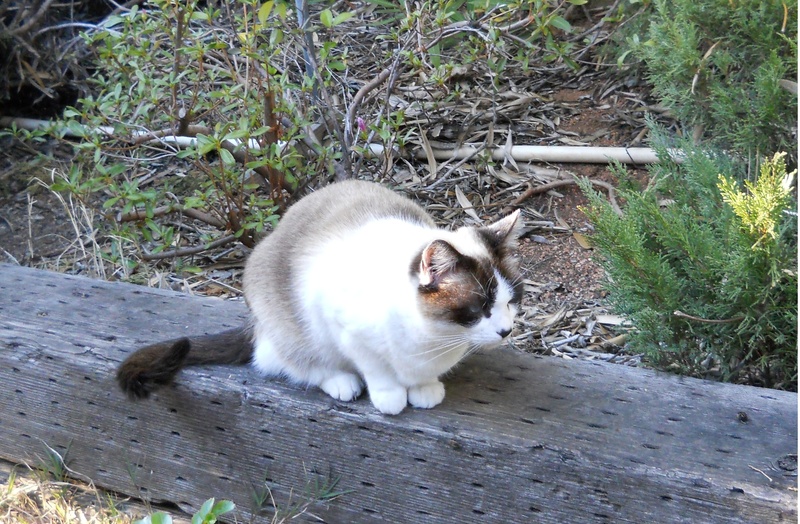 She is stern in her opinion of him, but open to the possibility that he is not a complete heathen. 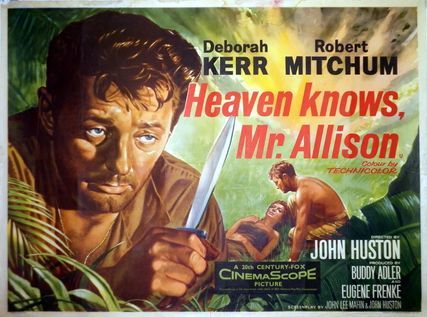 Heaven Knows, Mr. Allison was based on the 1952 novel by Charles Shaw and filmed in 1957 on the island of Tobago. The screenplay adaptation was skillfully accomplished by John Lee Mahin. The lush landscape of the location was put to maximum glorious effect by cinematographer Oswald Morris. Along with the superb acting and direction, this Hollywood production is one of the industry gems of the 1950’s. The dialogue is realistic but not gritty, sentimental but not sappy, and it rings truer than ever today. That test of time always puts a movie to the test. Heaven Knows, Mr. Allison passes the test with flying TechniColor! In her convincing portrayal of Sister Angela, a nun afraid to question her commitment to becoming an anchorite, Kerr achieves an emotionally charged performance that stops just short of dramatic. Her strength in acting was always an aloof assumption of any emotion, but this rather austere character strips her of the possibility to become distant, detached. 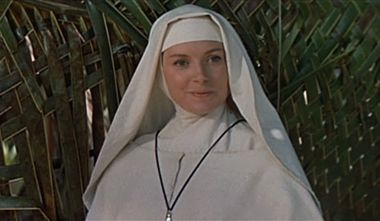 The nun figure is such a stereotype, and this nun is so deprived of so many things on this island, that Deborah Kerr is forced to use her emotions and that classical lovely face to reveal everything she cannot say. Those stoic eyes become whimsically warm and touching. The firm voice is transformed into an uncertain entreaty. Rather quickly in the film, Kerr must infuse “her nun” with a restrained passion that frightens the willies out of her. Working with very little hair and very little theatrical makeup, this actress proves that her natural beauty radiated from within. Her fears are played upon by the mildly-menacing Mitchum, a threat factor he would exploit with a vengeance in later films. 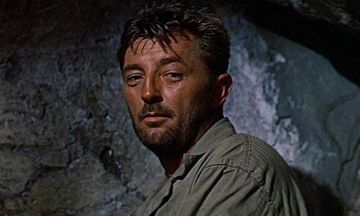 Here, however, as a Marine struggling to figure out how in the world he ended up on an island with a nun, and a pretty nun, Mitchum permits the camera to see glimpses into the thoughtful courtesy, even gallantry, that were rarely on view in his other roles. The “Baby, I don’t care” quarter-shrug is shelved. In its place is a deeply-spoken discontentment that combines confusion and contemplation with the cockiness that this actor possessed, in spades, with his own brand of bravura. The chemistry between Kerr and Mitchum may account for the nuanced acting that each achieved in this film. Kerr, without much hair, lets her hair down with trepidation over her own desires. 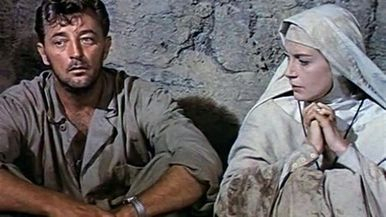 Mitchum displays heroism that stuns even him as he carries out that canny but graceful swagger which was capable of melting not only the heart of this nun, but the hearts of millions of viewers, male as well as female. Corporal Allison is not merely a Marine with a heart, a portrayal that could have turned mawkish in a minute; he is a man with a worn-out uniform whose threads he must earn back. And re-earn those threads he does, with the sort of heart-felt heroism that Mitchum did not get to play much in later typecast roles. I won’t reveal too much more about the plot because this film is a quiet stunner, a drama worth waiting for. John Huston gets a pretty full billing as the director. Ignore the wild, but true, legends about the carousing that he and Mitchum enjoyed during the making of this film. The principal players were unique talents, stellar in their art of film-making. Huston was a master at getting the maximum intensity of emotion from a minimum of effort from the actor. The direction of this film is powerfully achieved, with no wasted moments and the type of pacing that does not allow the viewer much pause: after the witty banter, compressed humor, and smart-aleck stares comes — with taut peripeteia — the really scary, serious stuff. The overriding conflict, however, between Man and Woman on this island is not good versus evil but faith versus fatalistic doubt. Corporal Allison tells Sister Angela that he’s not stupid enough to not believe in God, but you get the feeling he hasn’t spent much time believing in the Man Upstairs. With this nun, there is always the sense that she hasn’t spent much time with people, and certainly not with a He-man Marine who enjoys a belt of whisky and the bulk of his muscles, but in an almost shy way! The nub of their situation is a dignified emblem of many lives that have gone adrift in a sea of skepticism. He seeks the redemption of love. She seeks the redemption of God. They discover truths within themselves as a result of confronting the mistrust and misgivings within one another. What is the meaning of life without love? What is the meaning of life without God? Heaven knows all of those doubts and unspoken questions of the wandering soul. The French at that time understood this film so well that their title is “Dieu Seul le Sait” — God only knows. And God only knows if Corporal Allison kept his spiritual date with his Maker. I’ll hazard a guess that once he found true love, at last, under the apple tree, he came to know his Maker in a surefire way that even Sister Angela would not have divined. And the nun, she came to believe a bit more in the acey-deucey of life, and in the sensuality of spiritual love that a Marine led her to know with serene certainty.